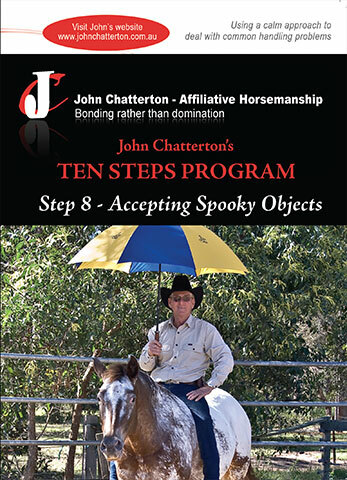 Teaching your horse to accept spooky objects. Horses have a natural fear of any object they are not sure of. Their way of solving the problem is to shy and run away from whatever frightens them. Everyone’s favourite step. 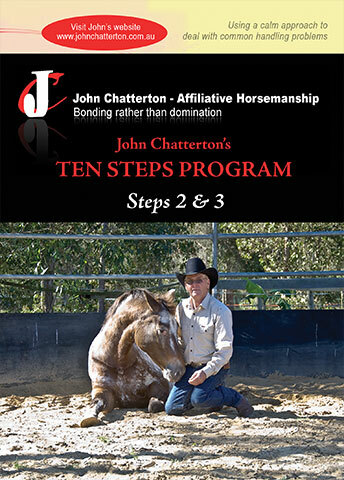 John has it in 8th position for a good reason because it is necessary to build your horses confidence through the first 7 Steps. 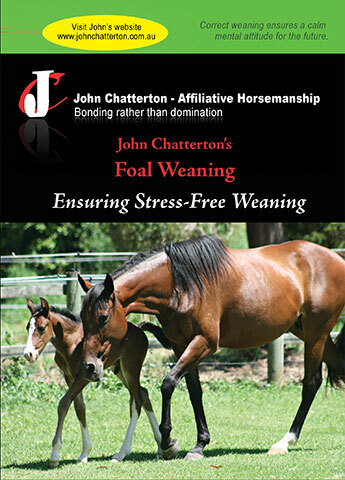 Step 8 is not intended to intimidate your horse or bombard him or to desensitise him to objects or noises. This step is designed to teach horses that running away from spooky things is not the answer to solving their fear, although their natural instinct is to run from danger. 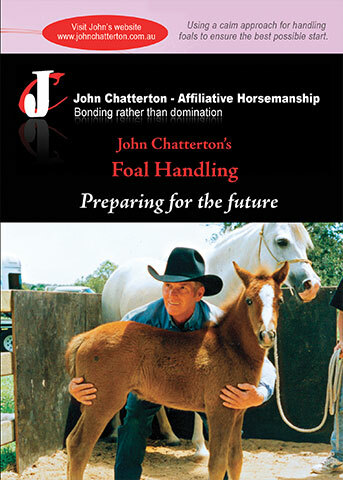 John shows here that you should provide your horses “comfort zone” and that they are safe standing still and looking at the spooky objects rather than fearing it. John never forces horses to spooky objects. 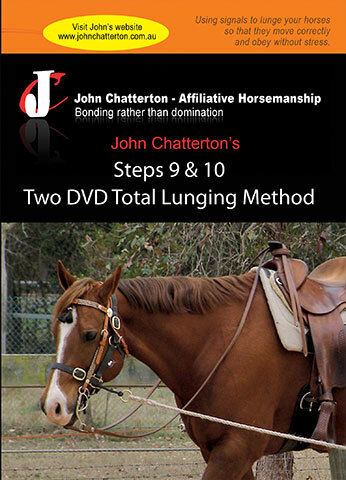 This Step is extremely important to teach, then when riding your horse, you will have a very safe and reliable ride.